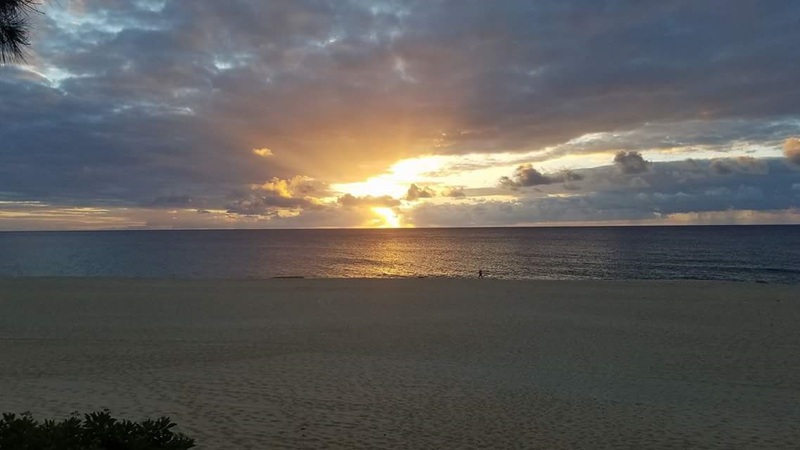 When a false missile warning was mistakenly sent out to Hawaii residents via text message on Saturday, January 13, the impact was immediate and varied. “THIS IS NOT A DRILL” exclaimed the warning. It wasn’t until 38 minutes later that the “all clear” was issued, calming grave fears and in many cases abject panic. But the damage had been done. Huge numbers of residents and visitors, faced with the prospect of total annihilation, scrambled to find shelter and reach loved ones for a final farewell. Videos of people running for shelter were soon up on the internet. 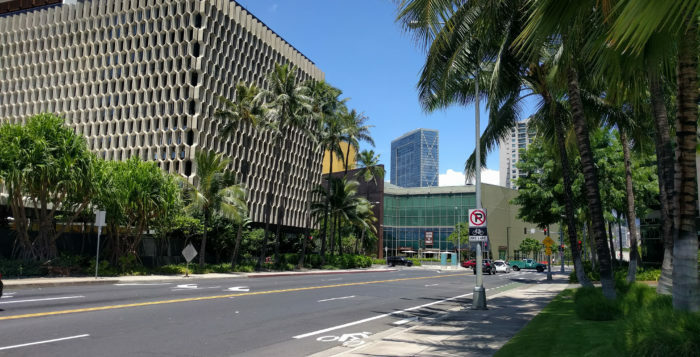 News reports described confusion in Waikiki hotels, with visitors and hotel employees crammed into lobbies and parking structures. The story quickly went global, and there was plenty of angry criticism to go around. The employee who mistakenly issued the warning received death threats. One local family blamed the false alert for a father’s near-fatal heart attack. A video of a father helping his young child through a manhole into the sewer went viral. Governor Ige and other officials made public statements accepting blame for the unthinkable mishap. Of course, Donald Trump’s foolhardy threats and provocations to North Korea, and his non-response to the incident, drew the ire of Americans everywhere. He was golfing when he received the news. He finished 18 holes before making a statement some time later. Some Hawaii residents familiar with the Department of Defense and military personnel were more calm in their responses. The odds of a North Korean nuclear attack on Hawaii are miniscule, and for a number of reasons. It is important to note that the threat is a genuine concern for Hawaii emergency officials, as evidenced by the Civil Defense missile warning system sirens being reactivated in December. The sirens did not sound after the false warning was issued. This in itself was enough to indicate to many that it was a false missile alert. Although the rogue nation claims the ability to strike the continental United States, its true capabilities remain somewhat unclear. The consensus among many defense department employees is that Seoul, Tokyo, and Guam are more likely to be targeted before Hawaii. Cold comfort indeed, but merely one facet of an infinitely complicated geo-political theater. When things settled down following the all clear, officials were quick to call the incident a “teachable moment” and a “learning experience” about the importance of disaster preparedness. Many hotels were caught ill-prepared, lacking evacuation and sheltering plans. It was a rude awakening for Hawaii families who lack disaster plans as well. Perhaps most telling about Hawaii residents is how quickly things returned to normal following the “all clear” being issued. People carried on with their daily lives, for the most part shrugging of the incident as silly, and even comical. One employee’s errant click sent a state of over 1 million people into a panic? Hilarious! But it’s important for people planning a Hawaii vacation to understand that while the threat of a nuclear attack here is unfortunately real, it is wholly unlikely. In the aftermath of the botched warning, there was a collective sigh of relief. Residents resumed their weekend routines, heading out to the beach, grocery shopping. It wasn’t long before memes started making the rounds. “Hawaii January 13, 2018. I SURVIVED” t-shirts were on offer on the internet. Satirical videos of Governor Ige’s speech in the “bad lip-reading” milieu were circulated. Life returned to normal after a the false missile alert.